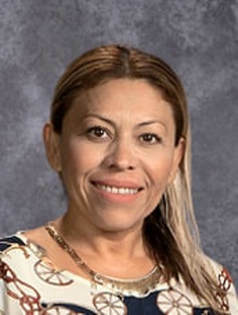 Maestra Blanca Santiago started teaching at Visitation on 2016. She has taught Spanish for 14 years. She loves introducing students to Spanish. She believes that with her experience, love, dedication, and patience; every child at Visitation School will want to learn and appreciate not just Spanish but the Culture. ​She is a mother of three wonderful children. Native from beautiful Puerto Vallarta Jalisco Mexico. She coaches and plays (soccer), loves the outdoors, gardening and of course spending time with her family.